Here at Bespoke Balloon Design we are committed to maintaining the trust and confidence of the lovely people that choose to visit our online sites. We are here to create beautiful balloon displays; we are not in the business of sharing or selling any personally identifiable information whatsoever. 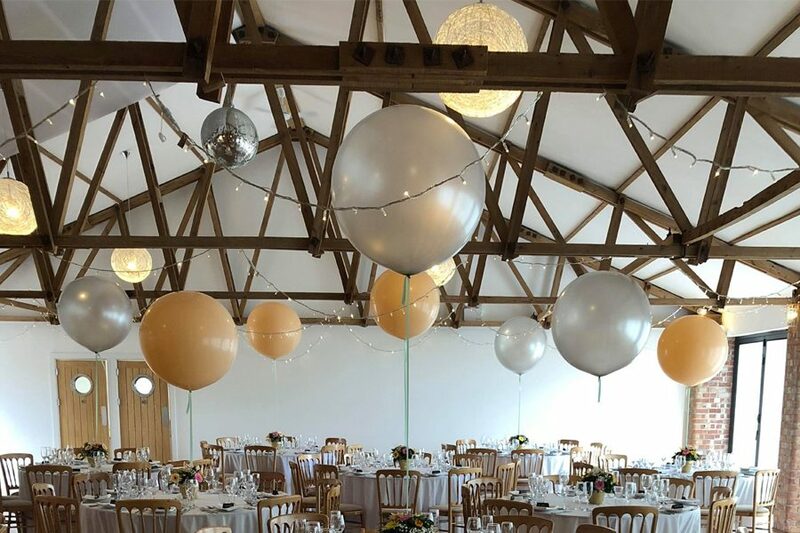 Any personally identifiable information you choose to share with Bespoke Balloon Design is used purely for legitimate business interests, to respond to your request and provide you with the best possible service. You’ve dunked your cookie already haven’t you..? Unfortunately the cookies we refer to are not the chocolate chip kind; they are small data files that are placed on your device as you browse our online sites. They are used to ‘remember’ when your device accesses our sites and your preferences to enhance your experience. You are in control of the cookies you eat allow. Most web browsers automatically accept cookies, but you can usually modify your browser setting to decline cookies if you prefer. This may prevent you from taking full advantage of the website. You can find out more about cookies used here …you may want to get more biscuits! We use Google Analytics to collect standard internet log information and details of visitor behavior patterns. We do this to find out things such as the number of visitors to our website. This information is only processed in a way which does not identify anyone. We do not make and do not allow Google to make any attempt to find out the identities of those visiting our website. Our website contains widgets for Facebook and Instagram so you can choose to follow us on social media, keeping up to date with our latest news and offers. When you view a website page containing the Facebook or Instagram widgets, your browser connects to Facebook and Instagram. For more information on how Facebook and Instagram handles the data it collects, click here. Note: This website contains links to third party websites and we recommend you read the policies on those sites before using them. This policy applies only to Bespoke Balloon Design. We may disclose data to relevant authorities if we suspect criminal activity or are obliged to do so by law. We are dedicated to the protection of children’s and young people’s personal Information. Due to the nature of our business, we understand that children and young people under the age of 16 may view our site. We strongly encourage them to speak to their parents or guardians before submitting any personal Information on any of our sites. Keep your children safe online. If we make any changes to this notice, we will update this date. Please ensure you agree with this policy before continuing to use our online sites.